This is the finest new clown style from The Costumer. 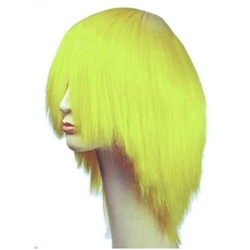 It is of such good quality it looks like a yak hair wig but the colors are even brighter than yak! Available in Purple, Blue, Red, Yellow and Pink.